Thousands of SEOs and webmasters all over the world use Netpeak Spider to perform everyday SEO tasks in the most efficient way. Try it free for 14 days! # URL sequence number in the results table. URL URL (Uniform Resource Locator) is the unified address of documents in the World Wide Web. In this column maximum severity of SEO issues found on a page is highlighted with appropriate color. Note that you always see decoded URLs in the program interface. Status Code Part of the first line of HTTP headers: consists status code number and description. If necessary, special status codes are added to this field after '&' symbol showing indexation instructions (disallowed, canonicalized, refresh redirected and noindex / nofollow). Issues Number of all issues (errors, warnings and notices) found on the page. Response Time Time (in milliseconds) taken by a website server to respond to user's or visitor's request. It is the same as Time To First Byte (TTFB). Content Download Time Time (in milliseconds) taken by a website server to return an HTML code of the page. Depth Number of clicks from initial URL to the current one. '0' value is initial URL's depth; '1' stands for pages received after following links from initial URL for the first time, etc. URL Depth Number of segments in inspected page's URL. Unlike 'Depth' parameter, URL Depth is a static one not depending on initial URL. For instance, URL depth for https://example.com/category/ page is 1, for https://example.com/category/product/ page is 2 and so forth. Last-Modified Content of the 'Last-Modified' field in HTTP response headers: indicates file's last modification date and time. Allowed in robots.txt Accessibility of URL by robots.txt file if it exists. TRUE means that URL is allowed to be indexed. False – disallowed in robots.txt file. Meta Robots Content of <meta name="robots" /> tag in <head> section of the document. Canonical URL Content of the canonical directive in HTTP response header or <link rel="canonical" /> tag in <head> section of the document. Redirects Number of redirects from the current URL: can be useful to determine chains of redirects. Target redirect URL Target URL of single redirect or redirect chain if it exists. X-Robots-Tag Content of the 'X-Robots-Tag' field in HTTP response header. It contains indexation instructions and is equivalent to Meta Robots in <head> section. Refresh Content of the refresh directive in HTTP response header or <meta http-equiv="refresh"> tag in <head> section of the document. Canonicals Number of URLs in a canonical chain starting from the current page. Check is automatically performed when the crawling is paused and after it has been successfully completed. Check can be canceled and then switched on via 'Analysis' menu → 'Checking canonical chains'. Internal PageRank Relative weight of the page determined by the PageRank algorithm. Considers all main indexation instructions, link attributes and link juice distribution. This parameter is calculated automatically when the crawling is paused and after it has been successfully completed. Calculation can be canceled and then switched on via 'Analysis' menu → 'Calculate internal PageRank'.To see extended features and apply advanced settings for this parameter, go to 'Tools' → 'Internal PageRank calculation'. Incoming Links All links to current page from the crawled URLs. Calculation is automatically performed when the crawling is paused and after it has been successfully completed. Check can be canceled and then switched on via 'Analysis' menu → 'Count incoming links'. Outgoing Links All links from the current URL. Internal Links Links from current URL to other URLs of crawled website. External Links Links from current URL to other websites. Title Content of the <title> tag in <head> section of the document. It is a name of webpage and one of the most important tags in SEO. Title Length Number of characters (including spaces) in the <title> tag on the target URL. Description Content of the <meta name="description" /> tag in <head> section of the document. Usually displayed in SERP for a relevant query to current page, thus affecting CTR. Description Length Number of characters (including spaces) in the <meta name="description" /> tag on the target URL. Base Tag Content of the <base> tag in <head> section of the document. Keywords Content of the <meta name="keywords" /> tag in <head> section of the document. Keywords Length Number of characters (including spaces) in the <meta name="keywords" /> tag on the target URL. Rel Next URL Content of the <link rel="next" /> tag in <head> section of the document. Rel Prev URL Content of the <link rel="prev" /> tag in <head> section of the document. AMP HTML Indicates whether the target document is an AMP HTML page. It is determined by presence of the <html ⚡> or <html amp> tags in <head> section of the document. Link to AMP HTML Content of the <link rel="amphtml" /> tag in <head> section of the document. Images Number of images found in <img> tags on the target page. At the same time with collecting number of images, we gather alt attributes and initial URL source view. H1 Content Content of the first non-empty <h1> tag on the target URL. H1 Length Number of characters (including spaces) in the first non-empty <h1> tag on the target URL. H1 Headers Number of <h1> headers on the target URL. H2 Headers Number of <h2> headers on the target URL. H3 Headers Number of <h3> headers on the target URL. H4 Headers Number of <h4> headers on the target URL. H5 Headers Number of <h5> headers on the target URL. H6 Headers Number of <h6> headers on the target URL. HTML Size Number of characters in <html> section of the target page including HTML tags. Content Size Number of characters (including spaces) in <body> section of the target page excluding HTML tags. To put it simply, size of text on the page including spaces. Text/HTML Ratio Percentage of plain text to whole content size ('Content Size' to 'HTML Size' parameters). Characters Number of characters (excluding spaces) in <body> section of the target page excluding HTML tags. To put it simply, it's a size of text on the page excluding spaces. Words Number of words in <body> section of the document. Characters in <p> Number of characters (excluding spaces) in <p></p> tags in <body> section of the target page. Words in <p> Number of words in <p></p> tags in <body> section of the target page. Page Hash Unique key for the content of the entire page: allows you to find duplicates according to this parameter. Text Hash Unique key for text content in the <body> section: allows you to find duplicates according to this parameter. Broken Pages Indicates unavailable URLs (e.g. due to connection failure, exceeded response timeout, etc. ), or the ones returning 4xx and higher HTTP status codes. To view a special report precisely on broken links, press the 'Issue report' button over the main table. 4xx Error Pages: Client Error Indicates URLs returning a 4xx HTTP status code. 5xx Error Pages: Server Error Indicates URLs that return a 5xx HTTP status code. Links with Bad URL Format Indicates pages that contain internal links with bad URL format. To view a special report on this issue, press the 'Issue report' button over the main table. Duplicate Pages Indicates duplicate compliant pages by all HTML code of the page. URLs in this report are grouped by the 'Page Hash' parameter. Duplicate Text Indicates all compliant pages that have the same text content in the <​body> section. URLs in this report are grouped by the 'Text Hash' parameter. Duplicate Titles Indicates all compliant pages with duplicate <​title> tag content. URLs in this report are grouped by the 'Title' parameter. Duplicate Descriptions Indicates all compliant pages with duplicate <​meta name="description" /> tag content. URLs in this report are grouped by the 'Description' parameter. Duplicate H1 Indicates all compliant pages with duplicate <​h1> heading tags content. URLs in this report are grouped by the 'H1 Content' parameter. Missing or Empty Title Indicates all compliant pages without the <​title​> tag or with an empty one. Missing or Empty Description Indicates all compliant pages without the <​meta name="description" /​> tag or with an empty one. Broken Redirect Indicates addresses of the pages that redirect to unavailable URLs (e.g. due to a connection failure, timeout, etc.) or URLs returning 4xx and higher HTTP status codes. Redirects with Bad URL Format Indicates addresses of the pages that return a redirect with bad URL format in HTTP response headers. Endless Redirect Indicates page addresses ultimately redirecting to themselves and thereby generating an infinite redirect loop. Max Redirections Indicates addresses of the pages that redirect more than 4 times (by default). Note that you can change the default value on the 'Restrictions' tab of crawling settings. Redirect Blocked by Robots.txt Indicates addresses of the pages that return a redirect to a URL blocked by robots.txt. Note that the report will contain each URL from the redirect chain pointing to the blocked address. To view a special report on this issue, press the 'Issue report' button over the main table. Canonical Blocked by Robots.txt Indicates pages that contain the <​link rel="canonical" /> tag or the 'Link: rel="canonical"' HTTP response header pointing to URLs blocked by robots.txt. Note that if the target URL starts a canonical chain leading to the blocked URL, the report will contain each URL from the canonical chain. To view a special report on this issue, press the 'Issue report' button over the main table. Canonical Chain Indicates pages starting a canonical chain (when a canonical URL contains page address that links to another URL in <​link rel="canonical" /> or the 'Link: rel="canonical"' HTTP response header) or taking part in it. To view detailed information, open an additional table 'Canonicals' in the 'Database' menu. Broken Images Indicates unavailable images (e.g. due to a connection failure or a timeout), as well as the ones returning 4xx and higher HTTP status codes. Note that image checking must be enabled on the 'General' tab of crawling settings to detect this issue. To view a special report on this issue, press the 'Issue report' button over the main table. PageRank: Dead End Indicates HTML pages that were marked by the internal PageRank algorithm as 'dead ends'. They are the pages that have incoming but no outgoing links, or the last ones are blocked by crawling instructions. Missing Internal Links Indicates HTML pages that have incoming links, but do not contain internal outgoing links. Bad AMP HTML Format Indicates AMP HTML documents that do not meet the AMP Project documentation standards. Note that there are at least eight markup requirements to each AMP HTML page. Long Server Response Time Indicates addresses of the pages with TTFB (time to first byte) exceeding 500 ms (by default). Note that you can change default value on 'Restrictions' tab of crawling settings. Missing or Empty H1 Indicates compliant pages without the <​h1> heading tag or with an empty one. Min Content Size Indicates compliant pages with less than 500 characters (by default) in the <​body> section (excluding HTML tags). Note that you can change the default value on the 'Restrictions' tab of crawling settings. Images Without Alt Attributes Indicates compliant pages that contain images without an alt attribute or with an empty one. To view a special report on this issue, press the 'Issue report' button over the main table. Max Image Size Indicates addresses of the images with the size exceeding 100 kBs (determined by the Content-Length HTTP response header). Take into account that the 'Check images' option should be enabled on the 'General' tab of crawling settings to detect this issue. Note that you can change the default value on the 'Restrictions' tab of crawling settings. 3xx Redirected Pages Indicates URLs that return a 3xx redirection status code. Redirect Chain Indicates URLs that redirect more than 1 time. Refresh Redirected Indicates addresses of the pages that redirect to another URL using the refresh directive in the HTTP response header or the <​meta http-equip="refresh"> tag in the <​head> section of a document. External Redirect Indicates internal URLs that return a 3xx redirect to external website which is not a part of the analyzed one. PageRank: Redirect Indicates URLs marked by the internal PageRank algorithm as redirecting link weight. It could be page addresses returning a 3xx redirect or having canonical / refresh instructions that point to another URL. Multiple Titles Indicates compliant pages with more than one <​title> tag in the <​head> HTML section. Multiple Descriptions Indicates compliant pages with more than one <​meta name="description" /> tag in <​head> HTML section. Blocked by Robots.txt Indicates URLs disallowed in the robots.txt file. Blocked by Meta Robots Indicates pages that are disallowed from indexing by the 'noindex', or 'none' directives in the <meta name="robots"/>, or <meta name="[bot name]"/> tags in the <head> section where the [bot name] is a name of a certain search robot. Blocked by X-Robots-Tag Indicates URLs that contain the 'noindex' or 'none' directive in the X-Robots-Tag HTTP header. Non-HTTPS Protocol Indicates URLs without secure HTTPS protocol. Percent-Encoded URLs Indicates pages that contain percent-encoded (non-ASCII) characters in URL. For instance, URL https://example.com/例 is encoded as https://example.com/%E4%BE%8B. Same Title and H1 Indicates all pages that have identical <​title> and <​h1> heading tags. Short Title Indicates compliant pages that have less than 10 characters (by default) in the <​title> tag. Take into account that you can change the default value on the 'Restrictions' tab of crawling settings. Max Title Length Indicates compliant pages with the <​title> tag exceeding 70 characters (by default). Note that you can change the default value on the 'Restrictions' tab of crawling settings. Short Description Indicates compliant pages that have less than 50 characters (by default) in the <​meta name="description" /​> tag. Take into account that you can change the default value on the 'Restrictions' tab of crawling settings. Max Description Length Indicates compliant pages with the <​meta name="description" /​> tag exceeding 320 characters (by default). Note that you can change the default value on the 'Restrictions' tab of crawling settings. Multiple H1 Indicates compliant pages with more than one <​h1> heading tag. Max H1 Length Indicates compliant pages with the <​h1> heading tag exceeding 65 characters (by default). Note that you can change the default value on the 'Restrictions' tab of crawling settings. Max HTML Size Indicates compliant pages with more than 200K characters (by default) in the <​html> section (including HTML tags). Note that you can change the default value on the 'Restrictions' tab of crawling settings. Max Content Size Indicates compliant pages with more than 50K characters (by default) in the <​body> section (excluding HTML tags). Note that you can change the default value on the 'Restrictions' tab of crawling settings. Min Text/HTML Ratio Indicates compliant pages with less than 10% ratio (by default) of the text (the 'Content Size' parameter) to HTML (the 'HTML Size' parameter). Note that you can change the default value on the 'Restrictions' tab of crawling settings. Canonicalized pages Indicates canonicalized pages where a URL in the <​link rel="canonical" /​> tag or the 'Link: rel="canonical"' HTTP response header differs from the page URL. Identical Canonical URLs Indicates all pages with identical canonical URLs in the tags in the <​head> section or 'Link: rel="canonical"' HTTP response header. URLs in this report are grouped by the 'Canonical URL' parameter. Missing or Empty Robots.txt File Indicates compliant URLs that belong to a host with an empty or missing robots.txt file. Note that different hosts (subdomains or http/https protocols) may contain different robots.txt files. Nofollowed by Meta Robots Indicates HTML pages that contain a 'nofollow' or 'none' directive in the <meta name="robots" /> tags or the <meta name="[bot name]" /> in the <head> section where the [bot name] is a name of a certain search robot. Nofollowed by X-Robots-Tag Indicates HTML pages that contain a 'nofollow' or 'none' directive in the X-Robots-Tag field of the HTTP response header. PageRank: Orphan Indicates URLs that were marked by the internal PageRank algorithm as inaccessible. It means the algorithm hasn't found any incoming links to these pages. PageRank: Missing Outgoing Links Indicates addresses of the pages with no outgoing links found after calculating internal PageRank. It usually happens when outgoing links on a page had not been crawled yet. Max Internal Links Indicates pages with more than 100 outgoing internal links (by default). Note that you can change the default value on the 'Restrictions' tab of crawling settings. Max External Links Indicates compliant pages containing more than 10 external outgoing links (by default). We have set 10 as the average number of external links on the majority of websites: approximately 5 links to social media and a couple of external links to other sites. Note that you can change the default value on the 'Restrictions' tab of crawling settings. Internal Nofollow Links Indicates compliant pages that contain outgoing internal links with the rel="nofollow" attribute. To view a special report on this issue, press the 'Issue report' button over the main table. External Nofollow Links Indicates compliant pages that contain external outgoing links with the rel="nofollow" attribute. To view a special report on this issue, press the 'Issue report' button over the main table. Bad Base Tag Format Indicates pages that contain the <​base> tag in bad format. Max URL Length Indicates pages with more than 2000 characters in URL (by default). Note that you can change the default value on the 'Restrictions' tab of crawling settings. – Netpeak Spider is a desktop tool which crawls your website like a search engine robot and detects key SEO issues that influence the website’s visibility in SERP. – The free trial grants you full access to all the features of Netpeak Spider for 14 days. Notice that no credit card information is required. How do I start using Netpeak Spider? 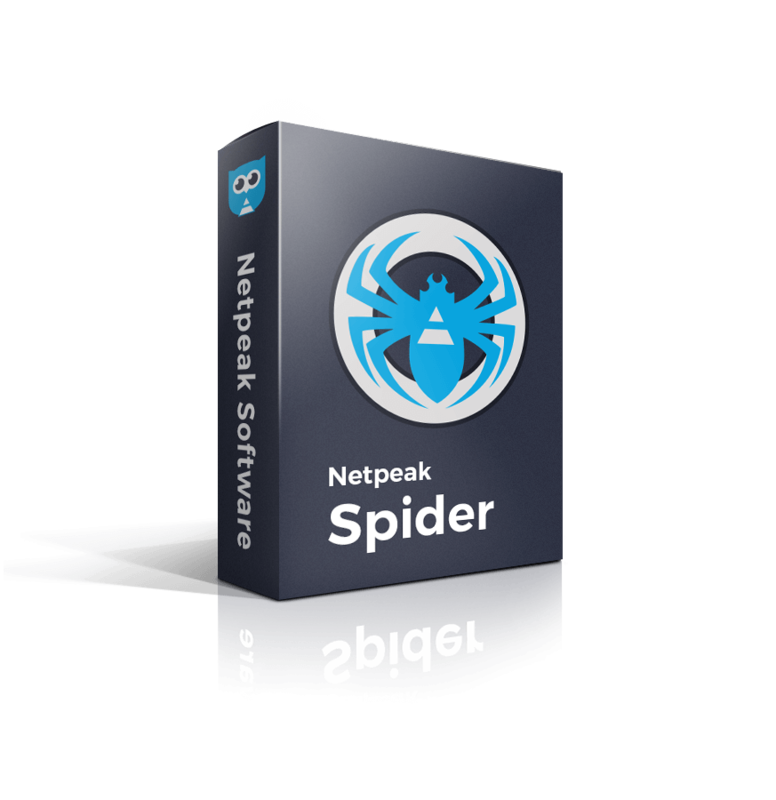 Log in to Netpeak Launcher and install Netpeak Spider. Is it necessary to have a Netpeak Software Account to use Netpeak Spider? Can I use Netpeak Spider on more than one device? – You can use Netpeak Spider on several devices, as long as they are not running at the same time. If you wish to use the software on multiple devices simultaneously, you need to buy the separate licenses. To change or adjust the devices appiled for using Netpeak Spider, please visit ‘Device Management’ section in User Control Panel.